Matrix Surgical USA was founded in 2012 as a privately held company based in Atlanta, Georgia, USA. 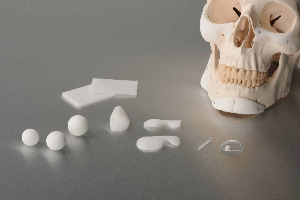 The company’s core management team has deep domain expertise in the medical device industry and extensive experience with the design, development, production, marketing and global distribution of Porous High-Density Polyethylene Craniofacial Implants. Matrix Surgical USA’s flagship product is OMNIPORE® Surgical Implants, a biocompatible form of porous High-Density Polyethylene. The company offers more than 80 unique SKUs of various anatomical configurations and dimensions for reconstruction or augmentation of the craniomaxillofacial skeleton. Our products are available to healthcare providers in the United States and through a global network of stocking distributors in more than 35 countries around the world. The founders created Matrix Surgical USA for one special reason: to be a specialty, niche-focused company that works in close collaboration with surgeons from all over the world to develop unique products that offer solutions to some of the most challenging clinical problems they face day in and day out. Our long history of success serving these client surgeons makes us a uniquely qualified partner and a fast-growing company to watch. To design, develop and introduce state-of-the-art products for reconstructive and aesthetic surgery that exceed customer expectations and recognized industry standards for quality and performance and the requirements of regulatory bodies from around the world. To recognize that our products play an important role in the healthcare practitioner’s (HCP) ability to treat acquired (traumatic) or congenital diseases; hence, we are mindful of our responsibility to support HCPs in the proper selection and use of our products to help them achieve the best possible outcome for their patients. We know that everything we accomplish rests on the skills, integrity, commitment and dedication of our employees. We offer challenging and rewarding employment for our team members and set high expectations for performance. Matrix Surgical USA is committed to being a well-managed, results-oriented, innovation-driven organization whose team members have a passion for progress and a commitment to excellence. We constantly strive to be better partners with our customers and to be more connected, more forward-looking and more customer-focused than our competitors. We strive to be good corporate citizens by actively serving the best interests of the communities where we live and work as well as providing support to humanitarian organizations engaged in delivering vital healthcare services around the world.